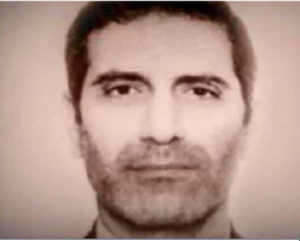 Last week, French officials declared that they had conclusively identified Iran’s Ministry of Intelligence and Security (MOIS) as the party responsible for a foiled bombing attempt in Paris in late June. European officials have arrested several individuals connected to the case, and the French have designated two intelligence officers. A key question, however, remains unanswered: which senior Iranian official gave the order? According to prosecutors and officials, Saeid Hashemi Moghaddam, deputy minister and director general of intelligence at MOIS, issued an order to bomb an annual meeting of exiled opposition group Mojahedin-e Khalq (MKO), which helped in the overthrow of the monarch in 1979 but fell out of favor with the Islamic Republic. President Donald Trump’s personal lawyer Rudy Giuliani and several former European and Arab ministers attended the event. Moghaddam chose Asadollah Asadi, whom prosecutors have described as a MOIS officer tasked with monitoring domestic and foreign opposition groups and whose cover is an Iranian diplomat based in Vienna, Austria. Asadi hired a Belgian-Iranian couple in March 2018 to carry out the attack. The trio met in Luxembourg, where Asadi gave them a device containing 500 grams of TATP (triacetone triperoxide), a home-made explosive produced of easily available chemicals. On the day the couple was set to carry out the attack, Belgian officials detained them in the Brussels area, and found the explosives and detonator in their Mercedes. German authorities arrested Asadi in the town of Aschaffenburg. French authorities arrested a fourth man in Paris, according to the New York Times. AFP later said that Belgian police believe he is an accomplice of the couple. The article identified him as “Merhad A.,” which is likely a misspelling of the Persian name Mehrad. The Mossad reportedly tipped German, French, and Belgium intelligence services about the plot, and a joint task force thwarted it. In early October, French officials announced that they conclusively established MOIS as responsible for the foiled terrorist attack. They specifically singled out the MOIS Internal Security Directorate (MOIS-ISD), according to the media. Paris then designated Asadi, Moghaddam and MOIS-ISD. The designations will apply for at least six months. France also said that it froze the assets of MOIS, though it remains unclear whether the ministry has had any assets in France, according to the Wall Street Journal. A German court has meanwhile cleared the extradition of Asadi to Belgium. French security forces also raided the Iran-linked Center Zahra France as well as one dozen homes in and around Dunkirk, according to the Associated Press. Police say they detained three individuals and seized weapons. French officials did not immediately connect the raid to the bombing plot. “A senior French official said Paris had no doubt that elements of the Iranian state were behind the bomb plot and that it was likely to have been hatched by hardliners looking to undermine [President Hassan] Rouhani,” according to an initial report by Reuters. That line, however, has since been removed from the article. That reflects a key unanswered question: who gave the order to Moghaddam? It is highly unlikely that Moghaddam would have acted without a green light from the Office of the Supreme Leader. An Iranian defector told German authorities that the assassination of four opposition members at the Mykonos restaurant in Berlin in 1992 was approved by the Committee for Special Operations, whose members included Supreme Leader Ali Khamenei, the President, the Foreign Minister and top security officials. A 2011 report by Iran Human Rights Documentation Center connected the committee, which was formed after Khamenei took became top leader in 1989, to dozens of assassinations abroad (Rouhani was a committee member). Whether this committee remains active is unclear, but it underscores that the Islamic Republic has had a chain of command and inter-agency process for decisions on eliminating opposition members abroad. While the Iranian President nominally selects the MOIS minister, he would need the approval of the Supreme Leader, who is the commander-in-chief. Khamenei has the final word on all matters of foreign and military policy, and has taken a personal interest in eliminating opposition members abroad. He is also known for centralizing power and establishing his own direct channels throughout the regime, as reflected in Tightening The Reins by The Washington Institute. The latest bombing plot is not an isolated incident in 2018: European authorities have arrested or expelled several Iranian agents, including diplomats, for conducting operations, as highlighted in Deadly Diplomats by The Washington Institute. Based on the earlier French statement that blamed “hardliners trying to undermine Rouhani,” Paris does not know or at least does not want to reveal the senior official who gave the order to Moghaddam. France is in negotiations with Iran over the implementation of the multi-lateral Joint Comprehensive Plan of Action, or the Iran nuclear deal, from which the US exited in May. France has frozen the selection of a new ambassador to Iran, lest Tehran provides more information about the plot. The incident was a plot “designed by those who want to damage Iran’s long-established relations with France and Europe,” said Iran’s Foreign Ministry Spokesman Bahram Qassemi. Update: This article has been updated with the initials of the fourth man arrested in connection with the plot. Thanks – well written and informative. FYI, Deadly Diplomats by The Washington Institute. has an incorrect link. Many thanks. The link has been corrected. Europe needs to come to grips that they are “dancing with devil.” The Iranian regime is not their friend, and will continue to undermine democracy wherever it is found.